When on campus, you can use your Macintosh to access Luther network shares like luther_common, departmental network shares and your H drive. This article explains how to access a network share from on campus using a Macintosh computer and focuses primarily on accessing the H drive. Note H drives are only available for faculty and staff. Students are encouraged to take advantage of unlimited Google Drive storage space. 1. From the Finder, choose Go > Connect to Server…. 2. In the Server Address text field, type smb://academic.luther.edu/name (faculty), replacing ‘name’ with your Luther Norse Key username (This is your Luther email address without the @luther.edu. For example, if your email address is [email protected], type beneel01). If this is your personal machine, you might want to click the + button to add it to your list of favorite servers so you don’t have to type it in again next time. 3. You will then be prompted for your user name and password. Type in your Luther Norse Key username and password (note: OS X tries to use your username on your Mac by default, so you will have to change it to your Luther Norse Key username). Click Connect. It is possible to access departmental network shares from your Macintosh. To do so, use the instructions outlined above. A list of network shares can be found in this article: Available Network Shares. Just change the address of the network share to be of the convention smb://theserver.luther.edu/name_of_the_share. For example, if you wanted to access \\admin1.luther.edu\luther_common, just type in smb://admin1.luther.edu/luther_common. 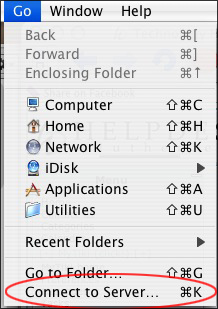 Once you are connected, your network will open in a new Finder window. You can now copy files to/from the share by dragging and dropping, and you can also save files onto the share from programs like Microsoft Word. When you are done, it’s important to click the Eject button to unmount the share.